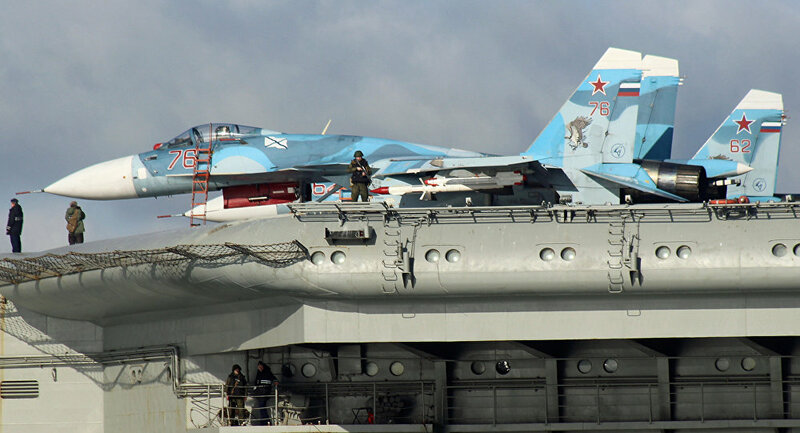 A Russian Su-33 fighter jet has skidded off the Admiral Kuznetsov aircraft carrier in the Mediterranean while landing but the pilot ejected and his life is not in danger, the Russian Defense Ministry said on Monday. 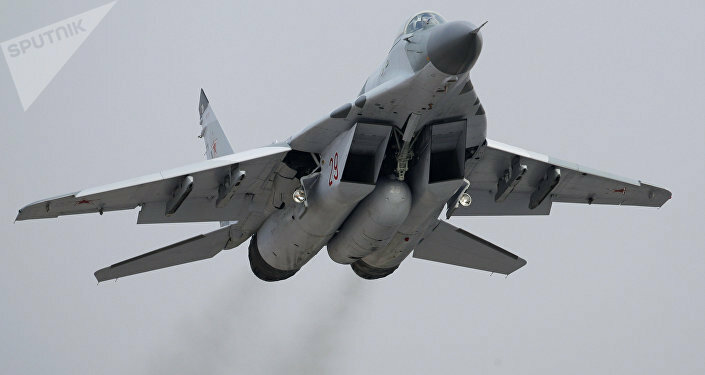 "While landing after completing a combat task in the Syrian sky, a Su-33 fighter jet skidded off the dock because the cable of arresting device broke. The pilot ejected and was immediately brought aboard the Admiral Kuznetsov heavy aircraft carrier by rescuers. His life is not in danger," the ministry said. "The ship-based aviation continues its flights in accordance with its tasks." On October 15, Russia's Northern Fleet’s press service said that a group of warships headed by the Admiral Kuznetsov accompanied by the Pyotr Veliky battle cruiser, the Severomorsk and Vice-Admiral Kulakov anti-submarine destroyer and support vessels had been sent to the Mediterranean to hold drills and strengthen capabilities. Su-33 fighter jets based on Admiral Kuznetsov air carrier repeatedly took part in the anti-terrorist strikes in Syria. Russia launched military operation against terrorist groups in Syria in September 2015, at the request of Syrian President Bashar Assad.